Endorphina online slots invite us to the shady world of ninjas – The Ninja casino slot game is full of these shadow warriors. The game is one of the latest works of the company, and contains interesting features such as the wild accumulator. The graphics quality is quite good, and the game looks very colorful. The Ninja online slot game by Endorphina gained a lot of interest during the latest ICE convention and it is easy to see why – Endorphina starts to become a very experienced company. The game has 5 reels, 3 slots, and 20 pay lines. All symbols in the game are high valued and 8 in total. They are shown with ninja pictures with different colored suits, and the payout range is in between 500 to 50.000 coins. However, as like other Endorphina games, these values are dependent on your bet levels. You need to play with 2.000 coins per spin (maximum bet) to get these prizes. If you prefer lower wagers, the payouts also get lowered too, down to 500 coins. There is only one special symbol (scatter) in the game, but it has many features. The scatter symbol is shown with a picture of a black ninja and it also acts as the wild symbol. In other words, it substitutes all other symbols in the game. If you manage to land more than one scatter symbol, the extra wilds are added to the “wild accumulator” which you can see at the bottom of the third reel. This is important for the free games bonus round, because wild symbols will get placed on reels the number of accumulated wilds during the main game. Speaking of free games, landing three scatter symbols on reels 2, 3, 4 or 5 will trigger the round and award up to 25 free spins. The bet levels of the game are in between 1 and 100 coins, and it is mandatory to play with 100 coins if you want the maximum payout. As with all Endorphina games, The Ninja supports a risk game (gamble) which you can play to double your winnings up to 10 times. 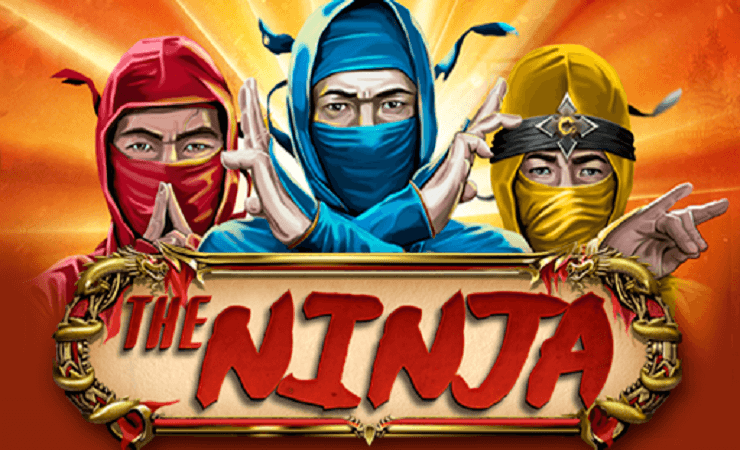 We liked The Ninja and can easily recommend it to anyone who likes to play casino slots online. Play at Casino Avenue to try out the free slots no download version first – it won’t cost you a thing!